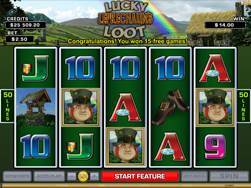 CRAZY VEGAS CASINO :: Lucky Leprechaun’s Loot slot - PLAY NOW! December 2, 2013 (Press release) – In addition to that special Christmas feeling, there is luck in the air. At Crazy Vegas Casino this December there’s a bit of an Irish flavour too and somewhere out there is a pot of gold; with the launch of the Flash title Lucky Leprechaun’s Loot. In addition to that, there’s a sound of lucky fortunes echoing across the breath-taking Himalayas in the new Flash title Paradise Found. These exciting new titles will grace the Instant Play catalogues from 2nd December at Crazy Vegas Casino and all the other Vegas Partner lounge brands. Players have a great opportunity to grab an early Christmas present, a Leprechaun’s magical pot of gold, with Lucky Leprechaun’s Loot. This 3×5 Reel, 50 Payline Australian-style Slot game caters to players of all experience levels. Naturally there are rainbows, four-leaf clovers, an Irish country-side vista and quaint Irish imagery all depicted in cheerful tones. Reeling in the luck are Wilds, Multipliers, Scatters and Free Spins trigger symbols. CRAZY VEGAS CASINO :: Paradise Found slot - PLAY NOW! Paradise Found takes players on a completely different journey, a captivating adventure in the Himalayas to a legendary lost city of Tibet. 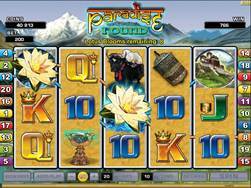 The imagery of snow-capped mountains, yaks, magical temples and wild mountain flowers fill this 5 Reel, 30 Payline Slot game with an enchanting atmosphere. 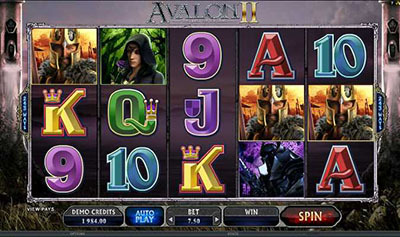 The fortunes are delivered by means of Wilds, Scatters and a Free Spins trigger. In addition to these new flash titles, Crazy Vegas Casino has welcomed a new game on both Flash and Viper platforms packed to the brim with traditional Christmas cheer and warm generosity, Secret Santa. New players at Crazy Vegas Casino have reason to celebrate from the outset with the massive Welcome Offers available. They are given a choice between $/£/€500 in deposit Bonuses on their first three deposits, or they can opt for the Freeplay offer of $/£/€3,000 Free in casino credits to play with in their first sixty minutes in the casino, a great way to get familiar with the over 650 top quality, Microgaming™-powered games available before making a deposit. Banking transactions are treated with air-tight security by means of 128-bit encryption technology, and a range of banking methods are available (in a range of currencies), including web wallets, credit cards, direct bank transfers and plenty more. Should players have a query, there is a multi-lingual team of friendly support staff waiting to provide assistance 24/7, via Live Chat, email and toll free numbers. 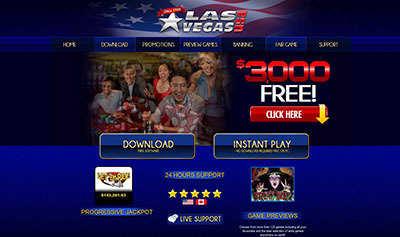 Crazy Vegas Casino is part of Vegas Partner Lounge (VPL) – a gaming group that has been around for over 12 years and hosts some of the most prestigious casinos in the online environment. Other brands within the VPL Group include: Golden Riviera Casino, Casino UK, River Nile Casino, 777 Dragon Casino, Cinema Casino, Maple Casino, Casino Mate, Sun Vegas Casino. This April, a unique game release to Crazy Vegas Casino – High Society Video Slots with Bonus Choice, Multiplier or Free Spins! Take it to the next level with Crazy Vegas Casino’s newest Video Slot: Terminator 2™ – You can Win the Maximum Jackpot of £88000!